M S International Inc. (“MSI”), North America’s Leading Supplier of Premium Surfacing Products, recently released an exciting new product line, STIK Wall Tile™. The edge of innovative, STIK Wall Tile™ has a convenient peel and stick backing that allows homeowners to achieve high-style looks quickly and easily — no grout or mortar needed. Complemented by a video that covers the installation process step-by-step, STIK Wall-Tile™ is nothing short of a DIYer’s dream. 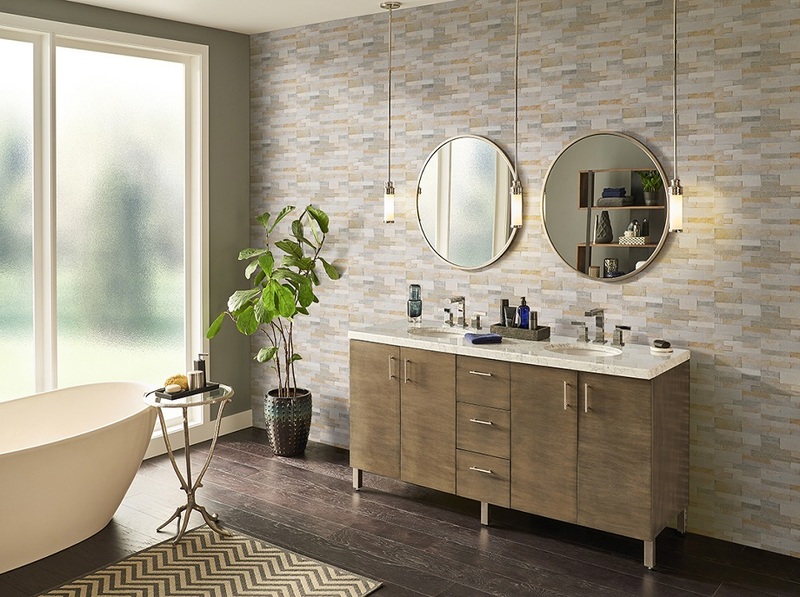 Not only convenient, MSI’s STIK line is also on-trend, reflecting some of today’s most popular looks in a variety of authentic stones — including marble, slate, travertine, and quartzite. Offered in honed and splitface finishes, with hues ranging from gorgeous whites and grays to warm golds and sleek charcoal, STIK Wall Tile™ works with a palette of color schemes and decors. From trendy white marble and 3D styles to mini stacked stone and more, these gorgeous mosaics coordinate with a wide range of other natural stone, porcelain, and ceramic tiles in MSI’s inventory. STIK is an ideal choice for customers wanting to refresh a kitchen backsplash, create a bedroom accent wall, or add unexpected detail to bookshelf insets or nooks — quickly, easily, and affordably. With its heavy-duty adhesive, STIK Wall Tile™ stands the test of time even in the busiest homes and light commercial environments. The collection is available in several exciting options: Arctic Storm Interlocking 3D, Calacatta Cressa Interlocking 3D, Emperador Blend Splitface, Emperador Splitface, Gold Rush Veneer, Golden Honey Veneer, Midnight Ash Veneer, Roman Beige Splitface, White Quarry Interlocking 3D, and Winter Oak Veneer. Explore the STIK Wall Tile™ Collection and view the installation video. Then look at these inspiring STIK WallTile™ applications and learn more about this trendsetting line.